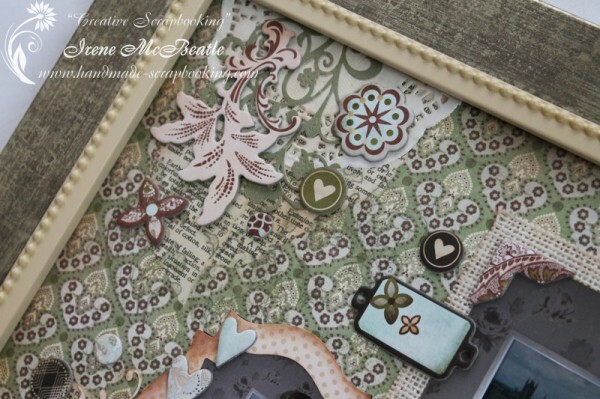 I made this scrapbook layout, put it into a frame and gave to my Grandma. 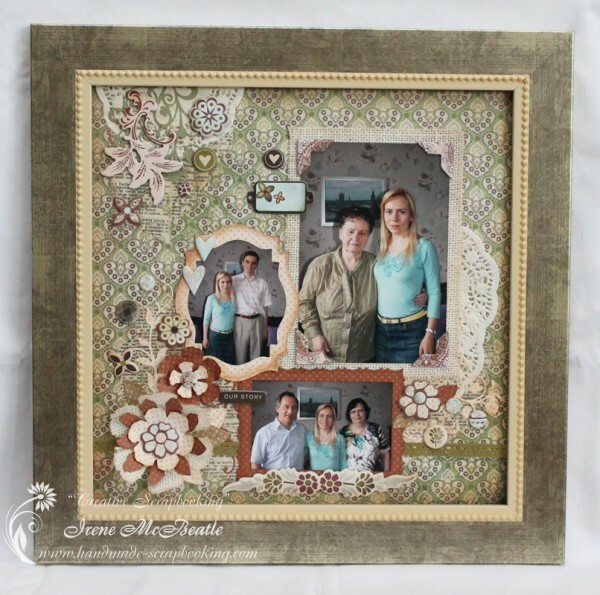 Sometimes handmade picture frame is a perfect present. Photos were taken at my birthday last summer when my Mom, Dad and Grandma came over to our place. We didn’t pose all together and I printed out three pictures so that everyone is present on this layout. 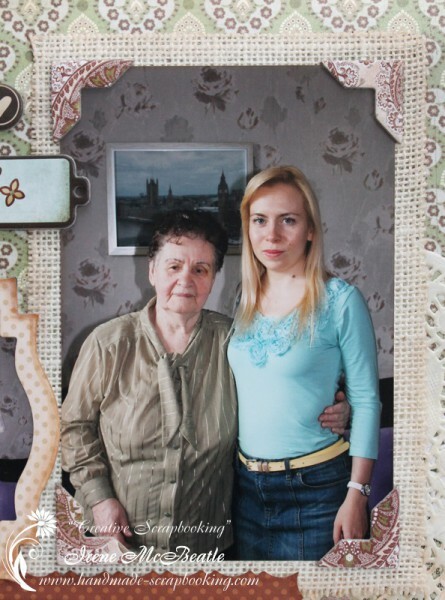 Here is a closer view of the main photo of Grandma and me. 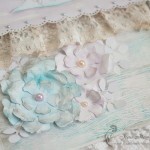 I used an old collection from Basic Grey for the background and embellishments. It went perfectly with the photos. I also added dimension by making 3D flowers. 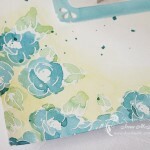 I made them with my favorite Tim Holtz and Sizzix Tattered Florals die. 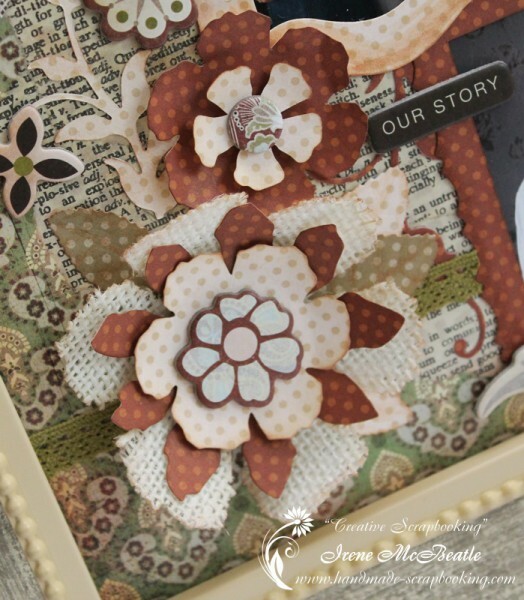 Grandma liked the layout and this made me so happy. 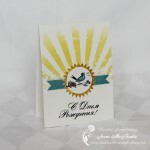 I’d like to join the “Anything Goes” challenge at Simon Says Stamp Monday Challenge Blog.